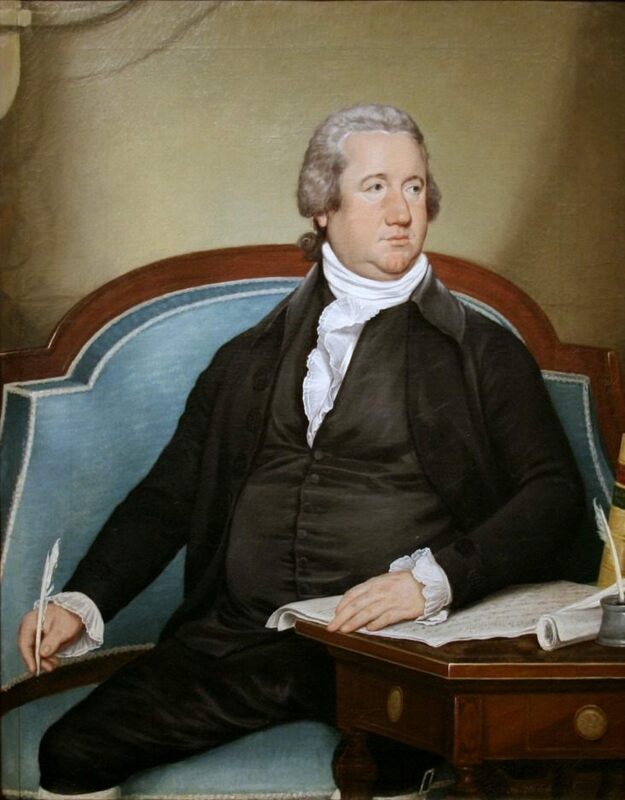 On this day in history, April 1, 1789, Frederick Muhlenberg is elected the first Speaker of the House of Representatives by the First Congress meeting in New York City. After the Constitution was ratified, the federal government of the United States made its first home in New York City. On April 1, 1789, the House of Representatives had enough members present to begin and elected its first officers. Frederick Augustus Conrad Muhlenberg, a Lutheran minister, businessman and politician from Pennsylvania, was chosen as the first Speaker of the House. Frederick Muhlenberg was born in Trappe, Pennsylvania, a son of Henry Melchior Muhlenberg, a Lutheran minister and the founder of the Lutheran church in America. Frederick studied in Germany with his brothers and returned to Pennsylvania in 1770, where he preached in Stouchsburg and Lebanon until 1774. In 1774, Muhlenberg moved to New York City to take a church there. When the American Revolution broke out, however, he returned to Pennsylvania for fear the British would take the city and his family would be in danger. Back in Pennsylvania without a church to preach in, Muhlenberg entered politics and became a delegate to the Continental Congress in 1779. He became a representative to the Pennsylvania House of Representatives in 1780 and served as its Speaker for three years. In 1781, Muhlenberg purchased a home in Trappe and built a general store onto the side of the house where he lived for the next ten years. In 1787, he served as the president of the Pennsylvania Constitutional Convention that ratified the US Constitution. This home was owned by Muhlenberg from 1781-1791. 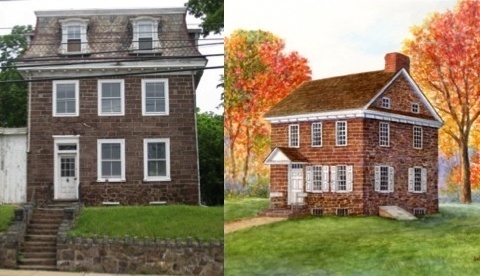 The picture on the left shows how the home looks now. a planned renovation is completed. Muhlenberg’s election as the first Speaker of the House of Representatives gave him a great deal of power in shaping the new government. The First Congress, under his leadership, established many of the key departments of the United States government, such as the State Department, the US Treasury and the Department of War. The First Congress passed the first Naturalization Act, Patent Act and Copyright Act, set in place the plan to move the seat of government to Washington DC, built the First Bank of the United States and passed the Bill of Rights, the first ten amendments to the US Constitution. Frederick Muhlenberg was the first person to sign the Bill of Rights upon its acceptance. Muhlenberg was elected to the House for the first four consecutive Congresses and served as the Speaker of the House for the First and Third Congresses. Muhlenberg was not re-elected to the House in 1797 due to his vote for the Jay Treaty, a treaty intended to reduce tensions with England after the war. The vote was unpopular with many people who thought it was too favorable to England. After leaving Congress, he returned to Pennsylvania and held some minor political offices until his death on June 4, 1801 at the age of 51. He was buried in Lancaster, Pennsylvania, which was then the state capital.